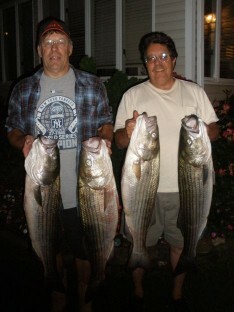 Free Fishing Reports > Northeast > New York > North Shore > Bass still slamming on P.M. bite! Bass still slamming on P.M. bite! 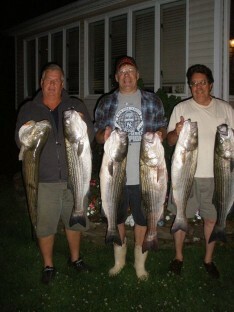 Kenny, Ronnie the Roofer, & Tom were treated to an amazing bass bite with non-stop action. The crew limited out in no time with bass from 13 to 20 lbs. Tom, having not caught bass in years, will definitely be sore tomorrow. Lots of laughs and great action continued ’til dark. Way to go guys!! !